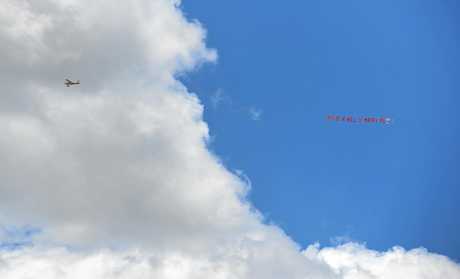 KATIE M got a little extra cheer this Christmas when her love took to the skies to pop the big question. 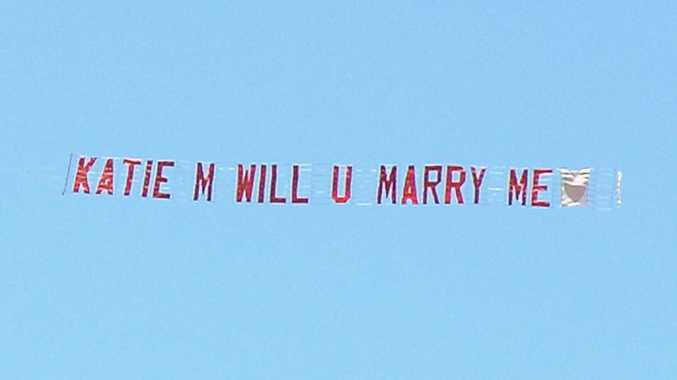 A plane was seen earlier today flying over Yamanto flying a banner saying "Katie M will you marry me?". QT deputy editor Andrew Korner and chief photographer Rob Williams spotted the grand proposal just after noon. We're not sure who Katie M is, who proposed or what her answer was but we would love to know more. If you can help us find the (hopefully) lucky in love couple email qt@qt.com.au.